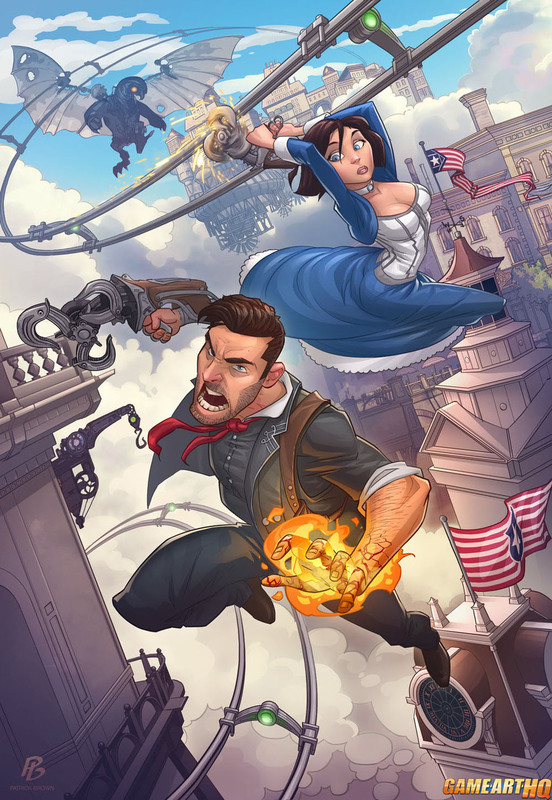 Bioshock Infinite is a great game, Patrick Brown is a great Artist. His Bioshock Infinite illustration is just the last video game fan art by Patrick who drew the previous Bioshock games before but also a lot other games ranging from GTA to Hitman and many more. Here on his Bioshock Infinite Artwork you see the three main characters Elizabeth, Booker DeWitt and Songbird in that amazing railway stage above the city of Columbia. Personally i recommend you to grab the game if you have anything for first person shooters with a great story and i recommend you as well to visit Patrick Brown’s gallery on deviantART!